On 1 March 2018, Minsk municipal authorities granted a permission to install a memorial plaque on the historical building, where on 25 March 1918 Belarusian independence was proclaimed. On the following day, Belarusians crowdfunded the project, promptly collecting € 2500 in just 3 hours. Out of those states that gained their independence after the fall of the Russian Empire, Belarus remains the only one that does not officially celebrate this date. In the modern Belarusian history, the Belarusian Democratic Republic (Bielaruskaja Narodnaja Respublika or BNR) anniversaries antagonised society – while the opposition made a specific point on public celebrations, the authorities usually marked 25 March with violent crackdowns. 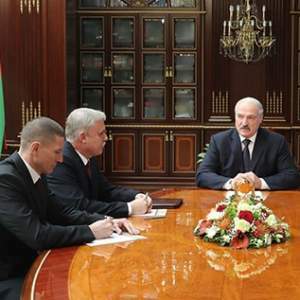 This year, as the centennial of the Belarusian statehood approaches, authorities and opposition seem to agree on the importance of the date, in a stark contrast to the previous years. What happened on 25 March 1918? As Germany and Soviet Russia signed the Brest-Litovsk peace treaty without Belarusian participation, Belarusian national elites finally realised the need to take responsibility for their homeland. 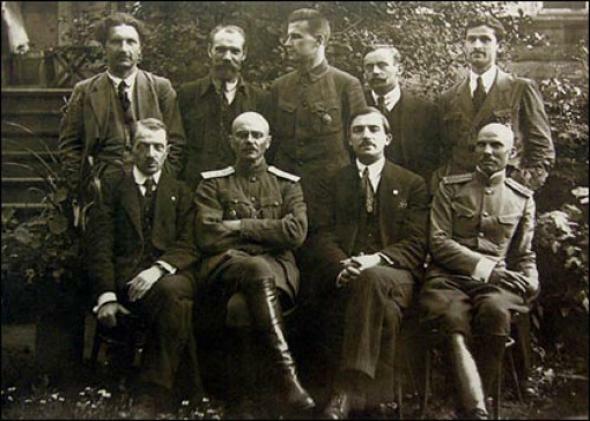 After the proclamation of the Belarusian Democratic Republic on 9 March 1918, the declaration of independence followed on 25 March 1918. In reality, the BNR lacked many formal attributes of a state and heavily depended on German toleration. Yet, more importantly, it created an important historical precedent. 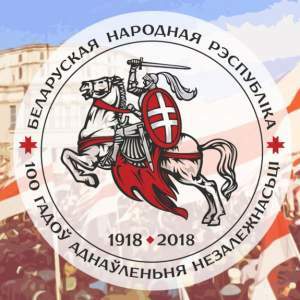 Ten months later, the Bolsheviks appropriated the idea of Belarusian state and (mis)used it for their own political ends, but the BNR established a continuous statehood tradition. It survived throughout the 20th century, serving as a basis for the creation of the independent Belarusian state in 1991. The BNR did not disappear with the arrival of the Bolsheviks and continued to exist within the Belarusian diaspora abroad. 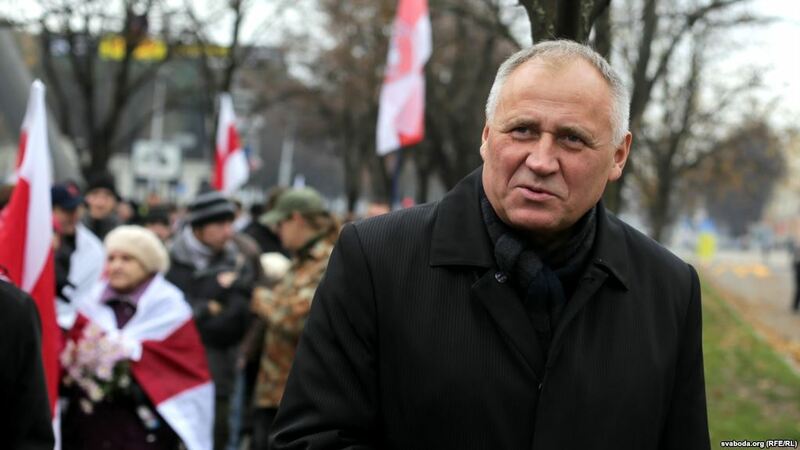 Its government – the BNR Rada – derives its legitimacy from the democratically elected All-Belarusian Congress and is famous for being the oldest government in exile. The BNR Rada considers the current political regime in Belarus undemocratic and refuses to hand over its mandate. Celebrations of 25 March, also known as Freedom Day, resumed in 1989, yet it did not become a public holiday. Instead, the authorities opted for 3 July as the official independence day, marking the date of the liberation of Minsk from the Nazis in 1944. This date does not bear connections to the re-establishment of the statehood or its independence whatsoever. Under the current political regime, 25 March usually antagonises official authorities, ending in violent clashes and arrests. The Freedom Day represents the very opposite of the regime’s Soviet-based sentiments. In 1996, it coincided with a political crisis, threatening the annexation of Belarus by Russia and bringing 30.000 people to the streets. In 2000, authorities used military equipment and riot police units against the peaceful demonstration. 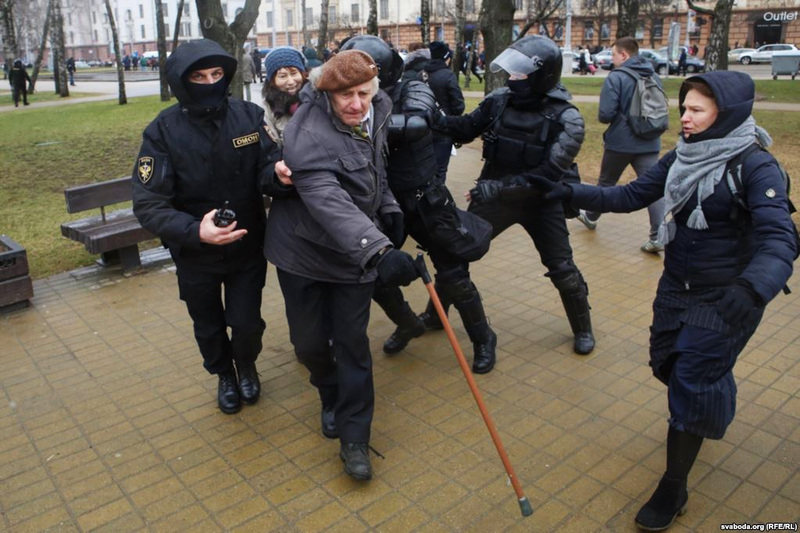 In 2017, the same trend was still in place: the authorities brutally detained over 700 persons out of a few thousand, who dared to gather in the centre of Minsk for the demonstration. Mass protests over the infamous ‘social parasites‘ decree last spring fuelled the authorities’ repressive reaction. However, with the exception when Freedom Day celebrations were reinforced with similar political or social crises, the usual scenarios stabilised at two-three thousand participants. Often without a clear plan of action, opposition kept struggling to revive the Freedom Day, while the authorities effectively prevented it from becoming a unifying date. 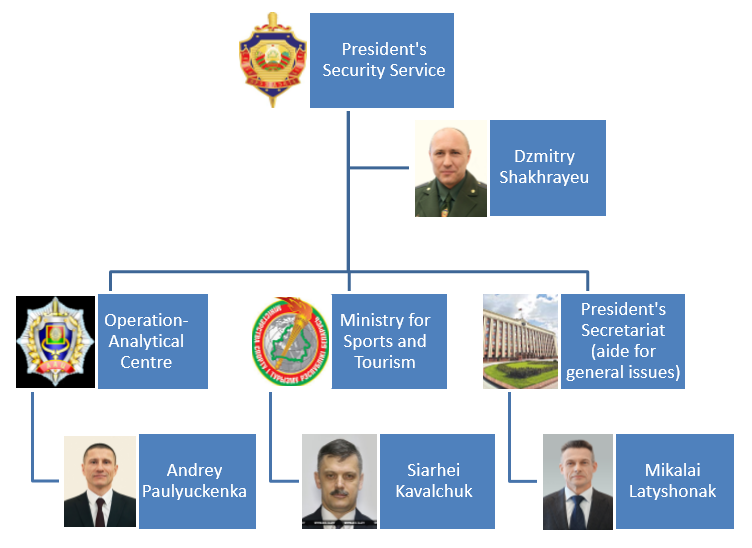 By contrast, this year might offer something fresh, as the Minsk municipal authorities permitted a rally and a concert on 25 March in a downtown location, near the Opera Theatre. Moreover, they also promised that the unregistered national white-red-white flags and ‘Pahonia’ coat of arms could be used without restrictions. Few other concessions include several BNR-themed exhibitions at major Minsk museums and marking BNR-related spots in the urban space. On 13 March, a memorial plaque was unveiled in Janka Kupala Park, memorialising the brothers Ivan and Anton Luckievič, the leading ideologists of the Belarusian national movement. Another plaque should appear on the building at Valadarskaha Str. 9, where the BNR proclaimed its independence. 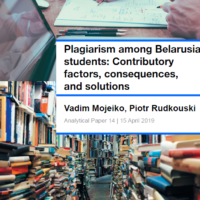 In regard to the soft Belarusisation trends, the centennial of the BNR might present the regime with an opportunity to abandon the dominant Soviet version of Belarusian history. Yet, according to the political analyst Aliaksandr Klaskouski, Belarusian authorities face two major obstacles – giving up their Soviet-defined identities and a fear that public celebrations might turn unpredictable. In this context, Belarusian authorities want to appear benevolent on the issue of the BNR centennial, yet distanced themselves from celebrations on the official level. Civil society and opposition took over the planning of the BNR anniversary, launching a crowdfunding initiative to fund the concert and coordinating volunteers for the information campaign. However, the authorised concert and small concessions from the regime immediately revealed that there is no common ground within their ranks as to the format of the Freedom Day. The organisational committee split between those who prefer festive celebrations to the more traditional political protest. United Civic Party, movement For Freedom and Belarusian Popular Front along with civil society activists, including Pavel Bielavus and blogger Eduard Palčys, opted for the concert. They argue that the BNR centennial should become an occasion for a national holiday with the appropriate festivities. Their adversaries, Mikalaj Statkievič, Viačaslau Siučyk, and Uladzimir Niakliaeu support a traditional demonstration through the streets of Minsk. Statkevič pointed out that festivities might discredit the authority of the opposition, achieved during the social protests last year. “We face a number of social and political issues […] People always come out to these events with their problems and needs. A demonstration gives them an opportunity to express these, while the guarded concert does not,” commented the uncompromising Statkevič. Thus, the roads of the opposition activists might part on 25 March 2018, allowing the regime to keep the face with the concert and prosecuting the participants of the unauthorised march. The opposition’s lack of unity reminds of the similar divisions that tormented national elites in 1918, when they debated independence of the BNR in the early hours of 25 March one hundred years ago. The centennial of the BNR coincides with a period when Belarusian regime shows interest in a stronger national identity. It also does not mind to compromise with the opposition, albeit on specific terms. A sizable part of the opposition, in turn, appears eager to use the warmer attitude of the authorities.